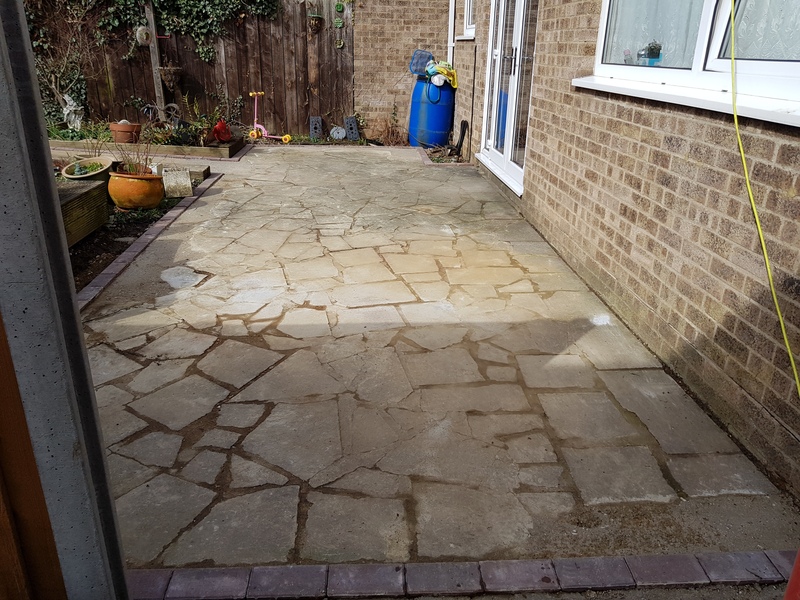 Our customer had a crazy paved patio area that had seen better days and a gravel area down to a pond that they wanted to improve. 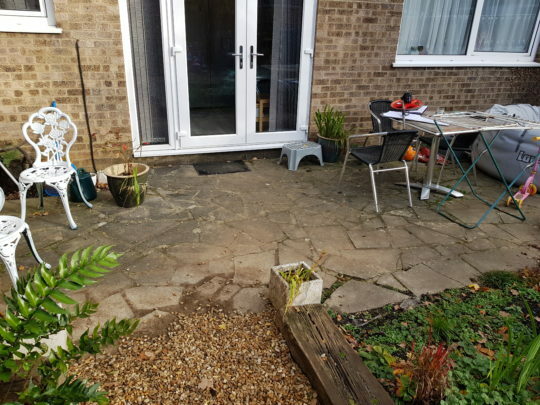 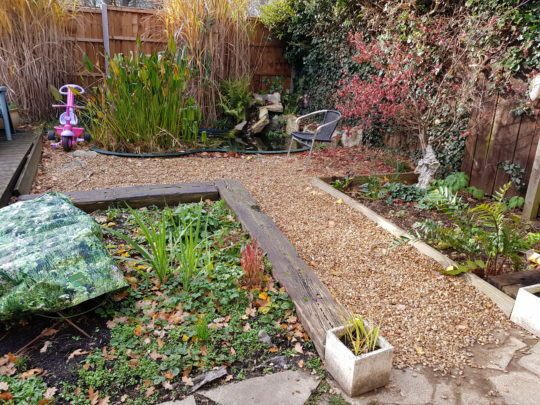 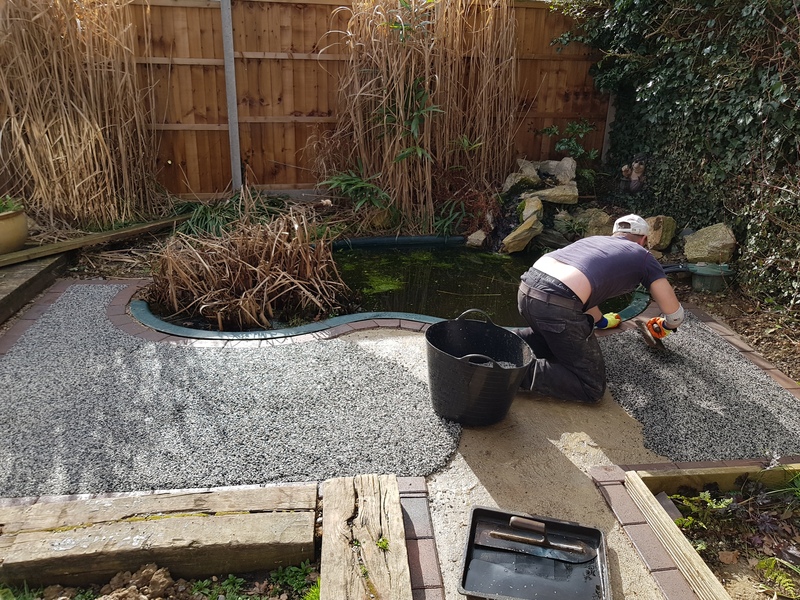 We suggested a resin bound installation for the patio and got to work excavating areas that required a new base. 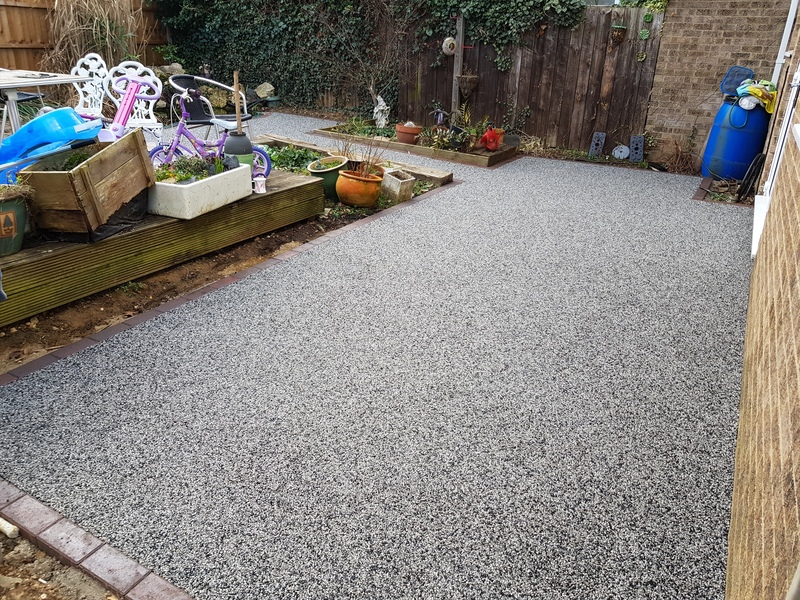 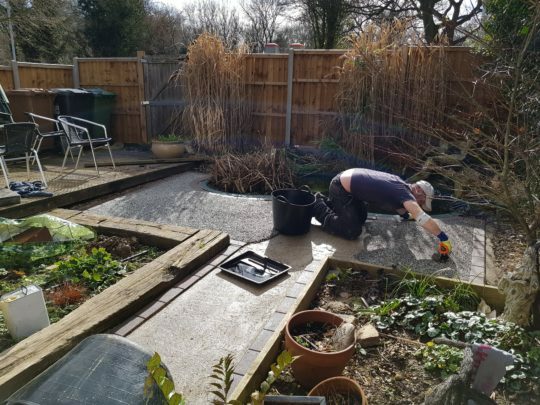 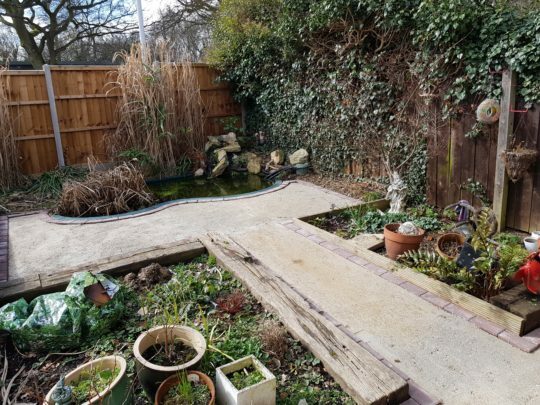 Once the new base was completed we installed the customers choice of Brindle edging blocks and finished the install with “Alloy” resin aggregate, hand troweled in UVR resin.